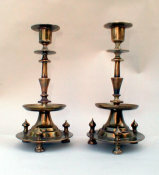 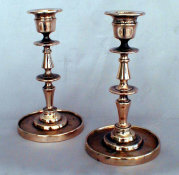 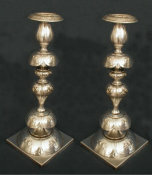 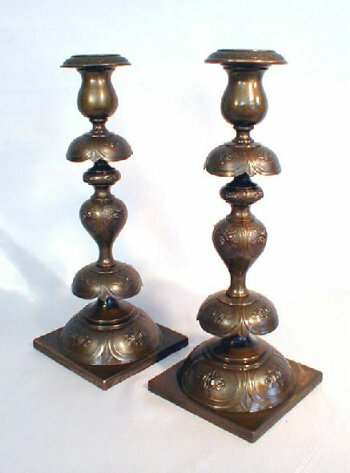 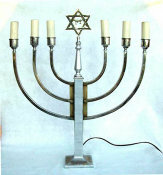 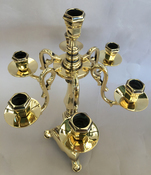 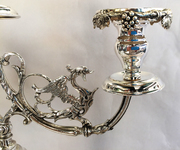 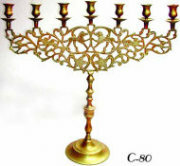 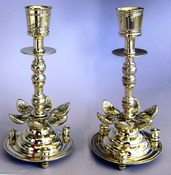 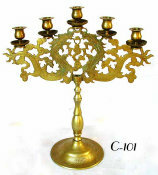 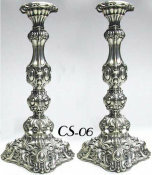 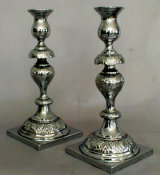 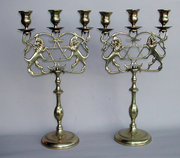 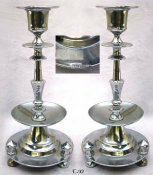 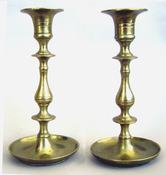 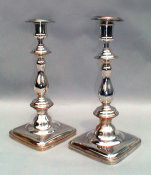 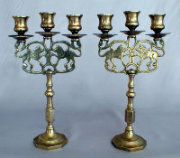 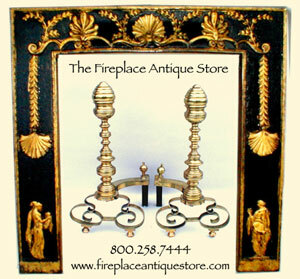 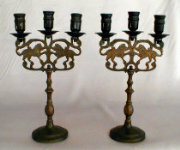 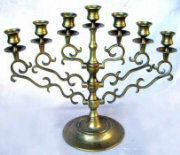 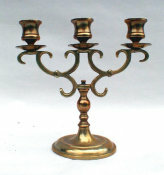 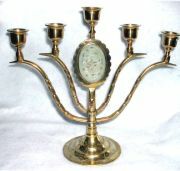 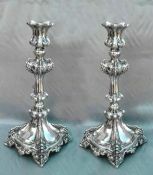 A beautiful pair of classic Polish "petticoat" style Sabbath Candlesticks with original rich chocolate patina. 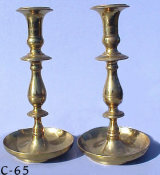 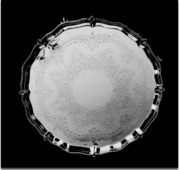 Marked: "Norblin & Co., GALW., Warszaw". 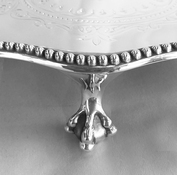 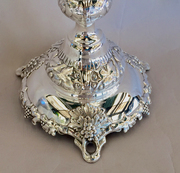 Finely detailed in high relief, complete with matching bobeche.